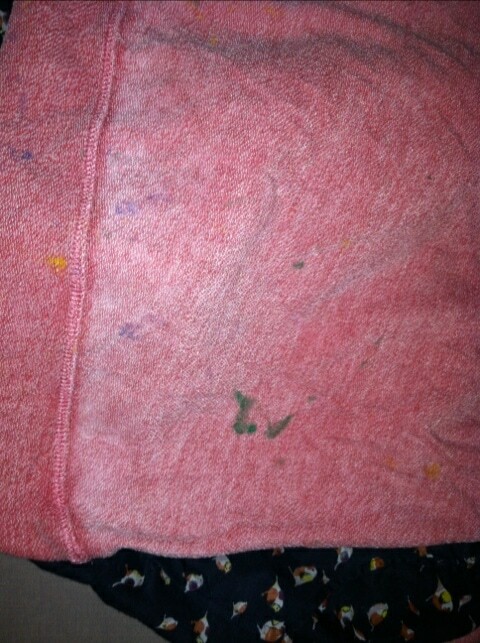 I just unloaded the dryer and found an entire load of laundry stained with crayons that melted all over my clothes. I guess this is the first time it’s ever happened – which I should be thankful for. 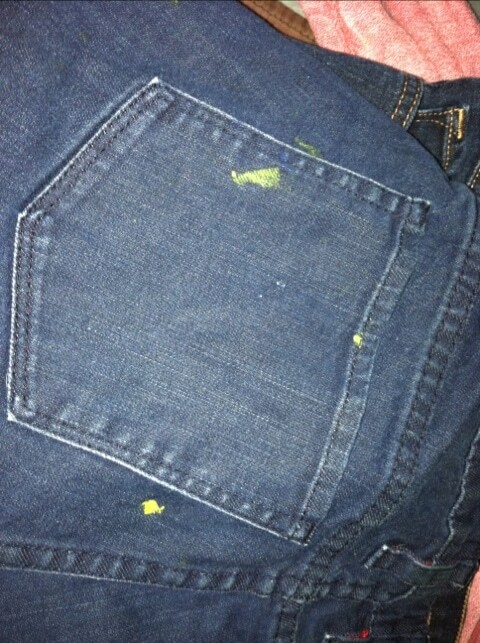 But my poor jeans!!!!! Two flipping pairs (that actually fit). I’m going to rewash and see what happens. Have you ever done this? Is there an easy way to get it out? 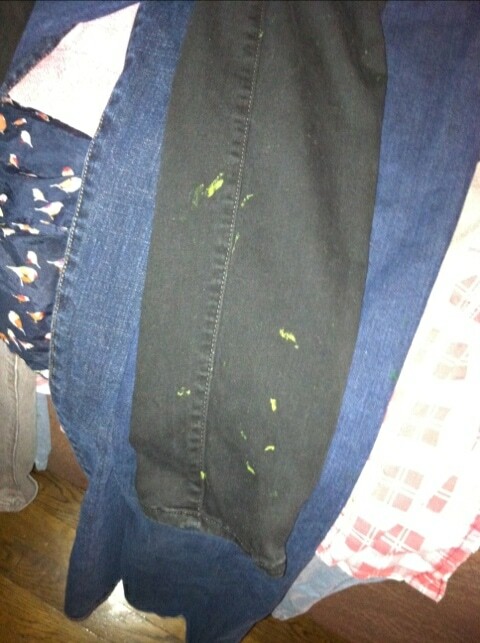 if they are wax crayons, try ironing with brown-paper/baking paper before you rewash. put the iron on silk setting and then place the brown paper over the crayon patches and hold the iron over the top for a few moments. you might have to do it a few times to get it completely out. use a fresh bit of paper each time (obviously!). re-washing might just set the wax and it won’t come out. drycleaning also works. First attempt to remove as much as possible with heat and paper as Sally describes above. If some residue remains use Goo Gone or similar OIL Based product. Saturate the area and let product set. It can be helpful to -gently- work the Goo Gone into the fabric.Then blot with clean white rag. (this also works well on other oil-based stains e.g., lipstick, chapstick, etc. If there are “chunky” pieces carefully scrape excess wax before beginning the blotting and spotting methods. At least they weren’t white jeans! P.S. Check your dryer to make sure that there aren’t any crayon pieces remaining in the dryer. I have that happen before. I washed again and again with goo gone. The shirt that had the crayon, had to be thrown away but everything else was cleaned. Not an easy task.